Being the leading names in industry we are into Leading Manufacturing and supplying an extensive range of Compound Walls. These are available in different specifications as per the requirements of our clients. Offered products have long life and can be availed at market leading prices. 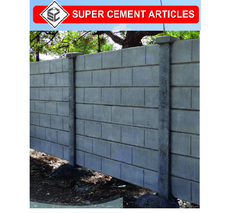 We are engaged in contribution advanced grade Concrete Compound Walls. 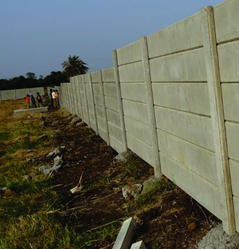 The compound walls that we put forward are time saving & simple to construct, moreover. 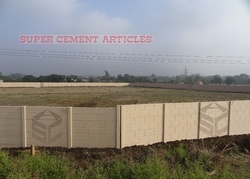 we also guarantee that these walls are clean and eco-friendly and cost effective, we set up ourselves as the newest manufacturers of high quality readymade concrete compound wall. 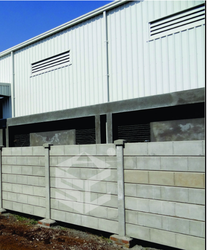 Keeping in mind diverse requirements of our clients we are involved in offering a wide range of Folding Compound Wall. These are highly acknowledged among our clients because these have the capability to withstand harsh climatic conditions. Offered walls are made using best quality raw material under the strict guidance of our experts to render maximum client satisfaction. 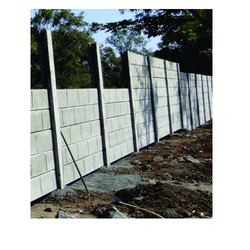 We manufacture compound walls which are done using natural stones to making Compound Wall. These Compound Wall are available in different sizes and are used as in place of conventional bricks or stones used in the construction of houses and buildings. 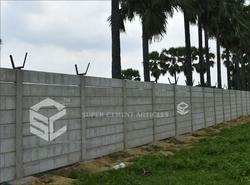 We manufacture compound walls which are done using natural stones to making Concrete Folding Compound Wall. These compound walls are available in different sizes and are used as in place of conventional bricks or stones used in the construction of houses and buildings. 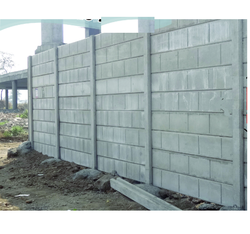 With an aim to satisfy our clients, we are engaged in offering an extensive range of Precast Compound Wall. These are widely used and are highly reckoned among our clients due to their fine quality. These are manufactured under the supervision of our experts using very high quality steel that are sourced from very reliable vendors. Additionally, we also assure safe and timely delivery of our products. 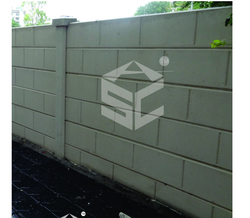 We manufacture compound walls which are done using natural stones to making RCC Folding Prestressed Wall. These compound walls are available in different sizes and are used as in place of conventional bricks or stones used in the construction of houses and buildings. For the diverse requirements of our clients, we are involved in offering an extensive range of RCC Precast Compound Wall. These are highly reckoned ams due to their durability and excellent finishing. These are manufactured by our highly skilled professionals by using superior quality material and advanced technology that ensures their long life. Moreover, these are well known due to their best designs. We manufacture compound walls which are done using natural stones to making RCC Ready Made Prestressed Wall. These compound walls are available in different sizes and are used as in place of conventional bricks or stones used in the construction of houses and buildings. 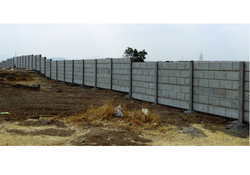 Keeping in mind the diverse requirements of our clients we are involved in offering an extensive range of Ready Made Wall. These are available in various designs and sizes as per the requirements of our customers. Offered readily-made walls are highly appreciated among our clients because these require less maintenance and are also easy to install. Moreover, these can be availed at industry leading prices. 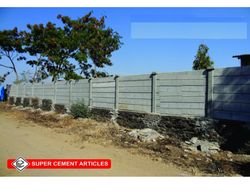 We manufacture compound walls which are done using natural stones to making RCC Folding Concrete Wall Compound. These Compound Wall are available in different sizes and are used as in place of conventional bricks or stones used in the construction of houses and buildings. 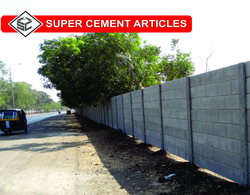 We are counted amongst the top companies involved in manufacturing and supplying an extensive array of RCC Ready Made Concrete Precast Wall Compound. These are developed using the best material to meet variegated preferences of our clients. In these, the plastering is not required and can be easily moved from one place to another. Additionally, these can be availed at market leading prices. 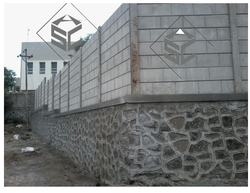 We manufacture compound walls which are done using natural stones to making Pretressed Concrete Compound Wall. These Compound Wall are available in different sizes and are used as in place of conventional bricks or stones used in construction of houses and buildings. 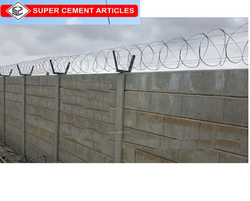 With rich industrial experience we and knowledge we are involved in offering an extensive range of Pretressed Concrete Wall. These are very well known in market due to their abrasion resistant nature and superior finishing. 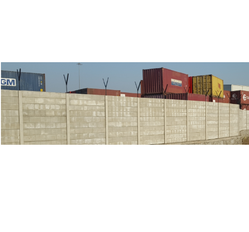 Offered walls are widely used in various places and have accurate dimensions. Additionally, these have a long life and are available in market at competitive prices. 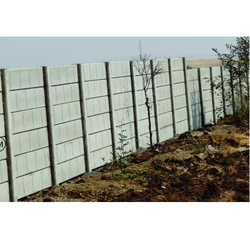 We are a prestigious company involved in manufacturing and supplying a wide array of RCC Concrete Folding Boundary Wall. These are widely used in homes, schools and many more paces for fencing. Offered products are highly acknowledged among our clients due to their high reliability and perfect finishing. Moreover, these can be availed at market leading prices. 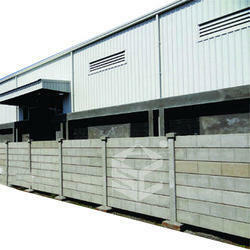 We manufacture and supply a wide range of Ready Made Compound Wall. These are manufactured using quality tested basic material to maintain a consistent quality in the end products. 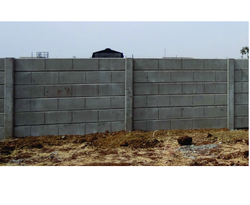 We manufacture compound walls which are done using natural stones to making Ready Made Precast Compound Wall. These Compound Wall are available in different sizes and are used as in place of conventional bricks or stones used in construction of houses and buildings. 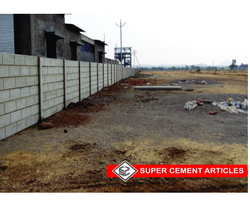 As a renowned organization, we are engaged in manufacturing and supplying an extensive range of Stones Compound Wall. These are developed using superior quality material and latest technology as per the international standards and norms. These are available in various specifications as per the requirements of our esteemed clients. Moreover, these have resistance to water are easy to install. 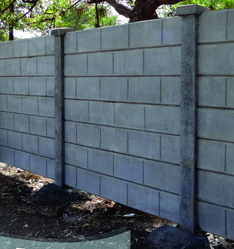 We manufacture compound walls which are done using natural stones to making Concrete Compound Wall. These Compound Wall are available in different sizes and are used as in place of conventional bricks or stones used in construction of houses and buildings. We manufacture compound walls which are done using natural stones to making Pretressed Compound Wall. These Compound Wall are available in different sizes and are used as in place of conventional bricks or stones used in the construction of houses and buildings. 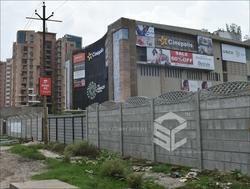 We manufacture compound walls which are done using natural stones to making Folding Precast Wall Compound. These Compound Wall are available in different sizes and are used as in place of conventional bricks or stones used in the construction of houses and buildings. 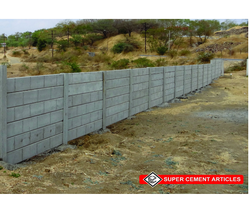 We manufacture compound walls which are done using natural stones to making RCC Ready Made Precast Compound Wall. 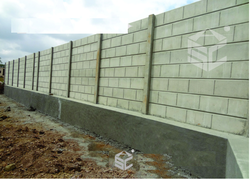 These compound walls are available in different sizes and are used as in place of conventional bricks or stones used in the construction of houses and buildings.